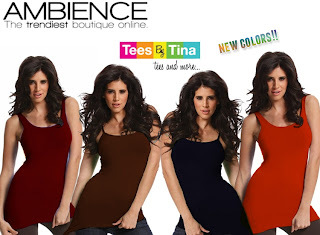 Tees by Tina: New Colors! Tees by Tina tanks and camisole just arrived in all the gorgeous jewel tone and basic colors we love to layer with. These tanks are our customer’s favorite as most of us love to layer and in the fall it adds just a bit of warmth which is the perfect touch on a cool day.